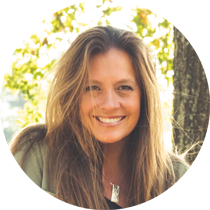 Always patient, she helped us get focused and move forward, and completed the project ahead of schedule and beyond our expectations ... We have truly enjoyed our experience working with Laura Bowly and we highly recommend her web design services! We’ve all been hearing about the changes coming to WordPress with the release of their 5.0 update. WordPress 5.0 will move the classic page editing experience into the world of “blocks”. In other words, in WordPress 5.0, you will no longer have the same classic WordPress editor or text editor that you’ve been used to using over the past decade. WordPress 5.0 introduces a new post/page editor called Gutenberg. The Gutenberg Editor replaces the classic WordPress editor, so this will be a big change in the way you edit posts and pages. The goal, of course, is to make it easier for non-developers to build their own custom pages and posts layouts — moving WordPress forward to be more competitive with site builders like Wix & Squarespace (although note that Gutenberg is a page editor, not a page builder). In some ways, once you are used to the interface, you will find the ability to easily add “blocks” of content refreshing, but there will be a learning curve and there is always a chance that some of the open-source plugins or special html code your site was built with will have issues with the transition. These are going to have to be addressed on a case-by-case basis. The initial reviews of Gutenberg are mixed, but in fairness, change is always hard and WordPress is using this feedback to improve the page editor before it’s release, scheduled for December 2018. 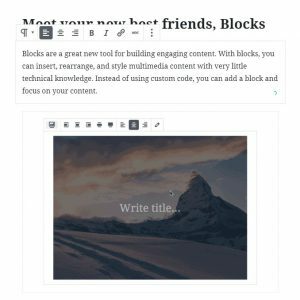 For sites that have utilized the classic Page/Post editor, when initially enabled, Gutenberg will put all of the page/post content from the classic editor into one block called “Classic”. However, any new Page or Post that is added will utilize Gutenberg which breaks every paragraph/image/header into a separate block. This is how Gutenberg works – each element is its own block of content. You will click the “+” (“Add block”) button to add a new block. There are blocks available for all kinds of content: you can insert text, headings, images, galleries, columns, lists, and more. I recommend you familiarize yourself with Gutenberg ASAP so you’re ready for the change when it happens. For most of you, a major platform update will not happen automatically, so it will be a conscious decision you make to update to WordPress 5.0 once it becomes available. Again, change is hard, so for at least a few years, even if you update to 5.0, you can put off the inevitable by using the Classic Editor plugin which will be supported through December 2021. A reminder, if you do opt to update to WordPress 5.0 once it’s available, always make sure you (or your host) has a full backup, and be sure to run all plugin & theme updates as well for best chance of compatibility. And as always, if you need help, I’m an email away.